(L-R) Former Ethics Commission Executive Director Phil Claypool, Integrity Florida's Dan Krassner, Progress Florida's Damien Filer and Tea Party Network's Catherine Baer. The coalition is calling for much stricter reform than what’s in the bill the Senate unanimously passed and in the one going before a House committee. Dan Krassner, who heads the government watchdog group Integrity Florida, says, the last time comprehensive ethics reform was passed in Florida was in the mid-1970s. Then-Lt. Gov. Tom Adams had just been dropped from Gov. Reubin Askew’s reelection ticket, after it was found Adams was using a government worker to tend to his private property. Krassner said, above all, the group is calling for the state Ethics Commission to be allowed to start its own investigations, not just respond when someone files an ethics complaint. He said, in the case of former Lt. Gov. Carroll, such investigative powers could have raised questions while she was still a state representative. “If we had an Ethics Commission that had the power and authority that 30 other states have, questions would have been asked about the former lieutenant governor’s financial disclosures more than 10 years ago,” he said. Krassner said, Carroll’s financial disclosure forms showed questionable things like an increase in net worth of more than $20 million in a single year, between 2003 and 2004. And Phil Claypool, a former Ethics Commission executive director who started with the commission in 1976, said, more investigative power is what the people want. Claypool said, he’s seen former Govs. Bush and Crist call for ethics reform with no success, so his expectation bar has been set pretty low. But, he said, he couldn’t sit this one out without a good fight. So he wrote a memo to Integrity Florida, outlining all the problem areas of the two ethics bills making their way toward a floor vote. One problem, he said, is that right now, the Ethics Commission can’t investigate an ethics complaint against a candidate if it’s filed within five days of an election. But the Senate bill makes it worse, not better. “The bill would extend that five-day period to 30 days. I don’t know how that’s helping the people of Florida. 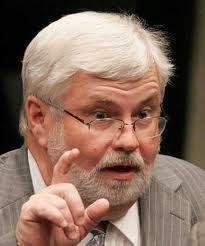 But it sure seems to be helping public officials and protecting them from the Ethics Commission,” he said. Another big problem with the bill, he said, is candidates would have a longer period of time to amend their financial disclosure forms. So they can potentially win a primary election before giving the public accurate information about their finances. Damien Filer, who heads the progressive advocacy group Progress Florida, said, ethics reform is a top priority for his supporters. “Ethics impacts every other issue that gets voted on here, from education to health policy to environmental policy, tax policy and everything else. So, this is a critical issue,” he said. The group said, the bills aren’t all bad, though. For example, they applaud the new power the commission would have to collect late-disclosure fines from elected officials by docking their pay. But Krassner said, there’s one person whose voice is missing from the debate. “Ethics reform was not mentioned in the State of the State. We need Governor Scott’s leadership on ethics reform,” he said. Krassner is hoping lawmakers take Claypool’s suggestions into account before passing any final package. The House is hearing its version of ethics reform on Tuesday afternoon. The Florida Senate has passed its first bill of the legislative session. It’s a measure to ensure lawmakers follow ethical rules. But to get it passed so quickly they did have to bend the rules just a little bit and fast-track the proposal, skipping the first and second readings on the chamber floor. Public officials could lose their homes or other valuable property if they don’t pay their state ethics fines on time. That’s what the Florida State Commission on Ethics hopes will happen if next year’s legislature passes their proposed bill. 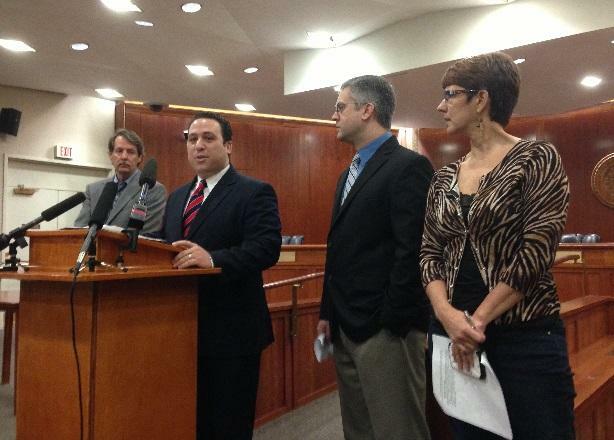 Florida leaders say they want to get tough on the state’s ethics laws for this upcoming legislative Session. Incoming Senate President Don Gaetz says one of his main priorities is raising the standard of ethical conduct for members of the state Legislature.